Mark your calendars, September 27th, for the “Kick Off” meeting of the new Officers’ Section sponsored by the South Carolina State Firefighters’ Association. The meeting will begin at 10:00 A.M. at the South Carolina Sheriffs’ Association (112 Westpark Blvd. Columbia 20210) where ample parking is available. The Sheriff’s Association is across the street from the Firefighters’ Association’s Columbia Office. The Officers’ Section was announced in June at our annual conference in Columbia where many of you signed up to become members of this innovative and informative leadership initiative. This Section is designed to provide information, education, services and representation to both volunteer and career officers. The goal of the Section is to simply enhance the professionalism and effectiveness of the officers serving in our communities. This Section is open to all individuals (regular, affiliate or associate members of the Firefighters’ Association who are at the rank of lieutenant and above. No dues are required to be a member of this Section. At some point, if necessary, dues may be established by the elected members of the Section and presented to the Section members for approval. 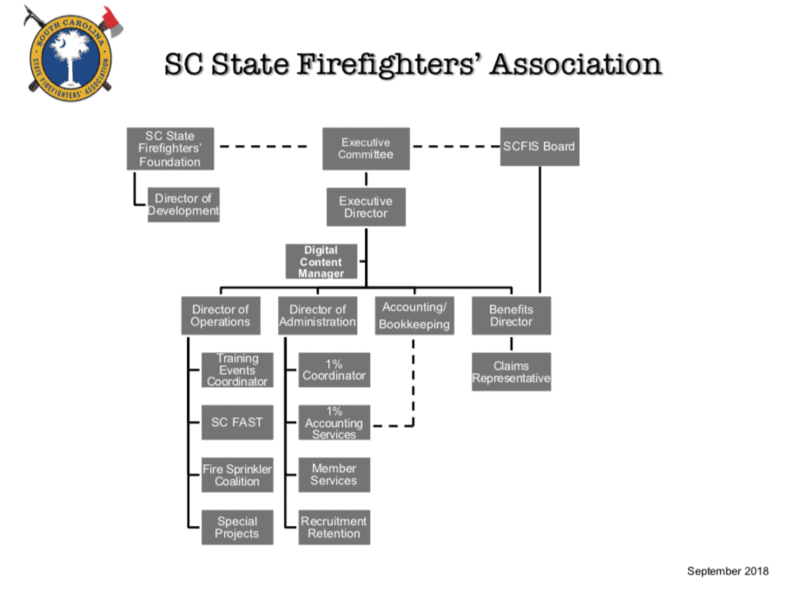 To sign up for membership in the Officer Section prior to the meeting, visit scfirefighters.org/officer. A motivational, energizing, and interactive program is planned that will set the stage for everyone to benefit and become involved. Details are forthcoming, but this is program that you do not want to miss. We are requesting an RSVP HERE. This simple RSVP to ensure the meeting space is adequate and provide numbers for the free lunch. So, make your plans now to join other officers from around the State on Thursday, September 27th, at 10:00 A.M., at 112 Westpark Blvd in Columbia. We look forward to seeing you at this important “Kick Off”.